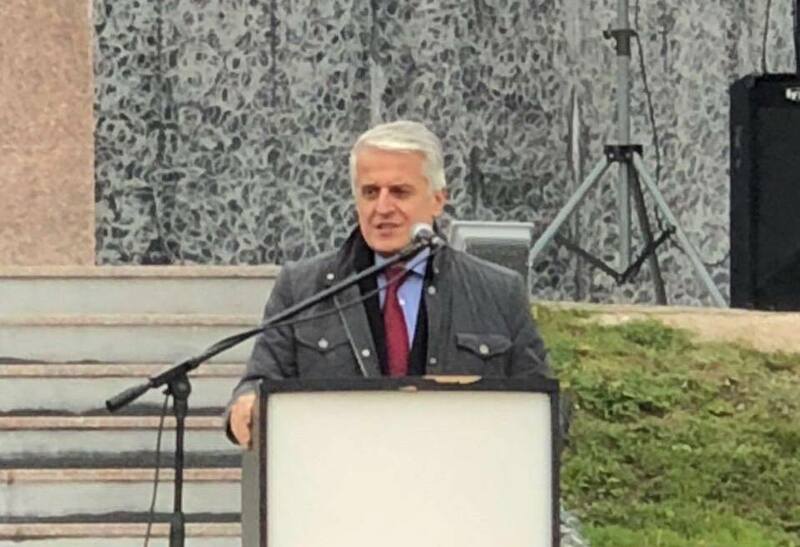 Former Albanian Prime Minister Pandeli Majko revealed to Fox News that he has been told by U.S. officials that he needs to increase his security after intelligence of a threat against him. The Trump administration restored sanctions on the rogue regime this week, a consequence of the U.S. decision to withdraw from the Obama-era Joint Comprehensive Plan of Action (JCPOA.) That move provoked a strong response from European leaders, who said they “deeply regret” the U.S. decision. But the regime, while facing significant unrest at home over corruption and mismanagement that has led to water shortages and food price hikes, allegedly has been exporting terror to Europe. Last month, an Iranian diplomat based in Vienna was one of four arrested for an alleged plot to bomb an annual gathering of Iranian dissident groups in Paris, which Trump lawyer Rudy Giuliani attended. German prosecutors allege that Assadollah Assadi was a member of the “Ministry of Intelligence and Security,” (MOIS) tasked with combating observation groups inside and outside of Iran. He is charged with activity as a foreign agent and conspiracy to commit murder. Iran Foreign Minister Javad Zarif has called the allegations a ploy. The Wall Street Journal reported that Dutch authorities expelled two Iranian diplomats in July linked to the assassination of one Iranian dissident who was murdered in the Hague in November. There are also concerns about the regime’s presence in Albania, where dissidents told Fox News the Iranian embassy is staffing up and has sent top intelligence operatives. Albania is significant as it was where more than 2,000 Iranian dissidents belonging to People’s Mujahedin of Iran (MEK) were relocated from Iraq in 2016. The National Council of Resistance in Iran (NCRI) said that the regime wanted to murder them in Iraq, and the failure to do so marked a “major setback” for the regime. The National Counterrorism Center (NCTC), a government agency, confirmed to Fox News that Albanian authorities arrested two Iranian operatives on terror charges earlier this year. “Iran has a long history over the last 39 years of conducting and planning assassinations and terrorist actions against opponents of the Iranian regime, including a series of assassinations and attack plots in recent years in European countries,” a senior counterterrorism official said. U.S. officials have not been shy about calling out the terror plots. Secretary of State Mike Pompeo, in a speech last month, pointed to the Paris attempt as proof of the regime’s intentions. “This tells you everything you need to know about the regime: At the same time they’re trying to convince Europe to stay in the nuclear deal, they’re covertly plotting terrorist attacks in the heart of Europe,” he said. Mohammad Mohaddessin, the chairman of the Foreign Affairs Committee of the National Council of Resistance of Iran (NCRI) said in a statement to Fox News that there is no doubt that the plots are coming from the regime’s leadership. “The Iranian regime’s foiled plots in Albania and in Paris were similar to the operations that ISIS carried out in terms of targeting big crowds and inflicting damage to a large number of people at once,” he told Fox News in a statement. The alleged terror threats are likely only to increase the pressure on the E.U. to abandon its opposition to sanctions and get on board with U.S. efforts to pressure Iran into either reform or regime change. This week, U.S. Ambassador to the U.N. Nikki Haley accused the bloc of “playing politics” on the issue.